I bought this record simply because it was on Ebullition. I knew exactly what I was going to get without even knowing anything about the band: loud-quiet-loud, screamy vocals, and MELODRAMA. Amber Inn delivers all of the above in spades. Bass-driven melodies and some whispered talking bits are the icing on the early 90's cake. Lyrics like "The sun set in silence and I didn't say a word" make this a solid choice for the dollar I threw down. It's a perfect time capsule of the exploration of volume changes, tempo changes, and how dudes can feel things but still justify the only emotion we're allowed to have: yelling. Serenity In Hand is a pretty classic emo number, nice guitar and interesting bass lines underpin a melodic verse followed by a thrashing tantrum of a chorus. Repeat until done. Wednesday Streak is a severely bipolar song, smashing all the quiet parts together at the start and all the loud and fast bits together at the end. It begins with solo bass and whispering and ends with full on 2-year old style wailing. I kind of love it. I would kind of love it more if I could remember any of the lyrics or not shudder in embarrassment for the ones I could understand. A lot of these early emo bands that yelled ended up being sort of masturbatory expressions of emotion, but the ones that became classics were the ones that you could get on board with. The ones you wanted to express your anguish along to while pointing your fingers at the sky and feeling your ball-chain bracelet tighten around your tattoos. 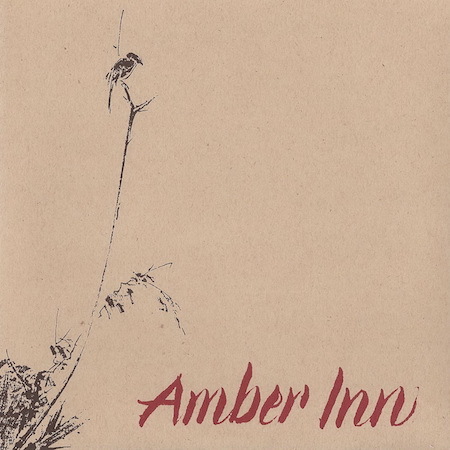 Amber Inn feels more like an arms folded and nodding situation than a classic.